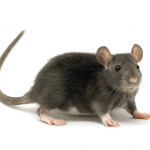 Rats Removal, Infestation Suffolk County | EcoTech Pest Control Inc. There are several types of RATS found on Long Island; however the vast majority of RAT infestations in homes, yards and businesses on Long Island are due to 2 species in particular. They are the NORWAY RAT (aka the sewer rat), and the ROOF RAT. There are 2 ways to determine the difference. One way is by their nesting habits. ROOF RATS are excellent climbers, and prefer to live high above ground. They will usually live in trees, in attics, or on rooftops (thus the name ROOF RAT). NORWAY RATS on the other hand prefer to remain on the ground, and if infesting a structure will usually be on the ground floor or below, in a basement, crawl space or under a slab. They will also borrow holes and tunnels in the ground and nest under decks, patios, woodpiles, and other solid objects. The second is by the shape of their heads and bodies. The NORWAY RAT has a shorter stumpy body, with blunt snout. ROOF RATS will have a slightly longer, narrower body, with more of a pronounced pointed snout. Rats will feed on most anything, including nuts, berries, grain products, rotten foodstuffs, gardens, pet food and even meat. Rats will have 4-6 liters per year of up to 12 hairless blind baby rats. They will not remain tiny and hairless for long however, as they will be grown and capable of reproduction in only THREE WEEKS. Rats have poor eyesight which they compensate for with ultra acute senses of touch, taste, sound and especially SMELL. They use these 4 senses almost as a type of sonar, navigating difficult paths to food and shelter with ease. The rats’ teeth, or chompers, grow constantly. Rats look to gnaw on things as much as possible to keep their teeth weathered to a manageable length. This action keeps the RATS teeth strong and sharp. So strong, in fact, that a RAT can chew a hole through almost any surface to gain entry into a structure. This includes wood, vinyl, plastic, metals and even cinderblock. If you were to do that, you would be charged with breaking and entering and it would leave a very large hole the wall of the building. A RAT only needs a hole about the size of a quarter to squeeze its entire body through. Rats are also notorious for spreading disease. In fact, RATS were the origin and catalyst for the BUBONIC PLAGUE (aka the black plague; the Black Death; black Friday). While it was the bites of fleas that infected people with the disease, it was the blood of rats that passed the disease to the fleas. Today, RATS can be carriers of several diseases, including the Havanah Virus, which occurs several times per year on Long Island. The virus has an aggressive and rapid onset, and is often fatal. RATS ARE VERY SUSPICIOUS. TRYING TO TREAT THEM WITHOUT PROPER TRAINING CAN LEAD TO THE RATS BECOMING LEARY OF ANY NEW ITEMS OR FOODS INTRODUCED INTO THEIR ENVIRONMENT. DO NOT TRY TO TREAT A RAT PROBLEM ON YOUR OWN. A TRAINED ECOTECH PROFESSIONAL CAN RID YOUR HOME OR PROPERTY OF RATS QUICKLY AND EFFECTIVELY, WITHOUT EXPOSING YOU OR YOUR FAMILY TO HARMFUL CHEMICALS.